Jackie Inkspired Blogger wrote a comment on 'La Fragilidad De La Historia' in the chapter 'Capítulo Uno'. 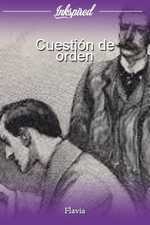 Litzy Martinez liked the chapter 'Capítulo Uno' from 'La Fragilidad De La Historia'. René Silva published a new chapter 'Capítulo Doce' from the story 'La Fragilidad De La Historia'. René Silva published a new chapter 'Capítulo Once' from the story 'La Fragilidad De La Historia'. René Silva wrote a comment on 'La Fragilidad De La Historia' in the chapter 'Capítulo Ocho'. Flavia wrote a comment on 'La Fragilidad De La Historia' in the chapter 'Capítulo Ocho'. René Silva published a new chapter 'Capítulo Diez ' from the story 'La Fragilidad De La Historia'. Flavia wrote a comment on 'La Fragilidad De La Historia' in the chapter 'Capítulo Uno'. René Silva wrote a comment on 'La Fragilidad De La Historia' in the chapter 'Capítulo Tres'. René Silva wrote a comment on 'La Fragilidad De La Historia' in the chapter 'Capítulo Uno'. Flavia wrote a comment on 'La Fragilidad De La Historia' in the chapter 'Capítulo Tres'. Flavia liked the chapter 'Capítulo Uno' from 'La Fragilidad De La Historia'. René Silva published a new chapter 'Capítulo Nueve' from the story 'La Fragilidad De La Historia'. René Silva published a new chapter 'Capítulo Ocho' from the story 'La Fragilidad De La Historia'. 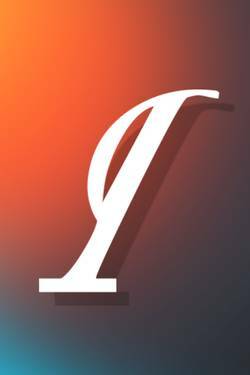 René Silva published a new chapter 'Capítulo Siete' from the story 'La Fragilidad De La Historia'. René Silva published a new chapter 'Capítulo Seis' from the story 'La Fragilidad De La Historia'. René Silva published a new chapter 'Capítulo Cinco' from the story 'La Fragilidad De La Historia'. René Silva published a new chapter 'Capítulo Cuatro' from the story 'La Fragilidad De La Historia'.